I was recently reading some book reviews, when I came across the term “Mary Sue.” I was interested, so I did some research. Turns out a Mary Sue is a perfect character, usually acting as some sort of wish fulfillment for the author. In other terms, the author is inserting herself into the text through the character. Mary Sue is a term widely used in fan fiction, but has spread to mainstream fiction. The original Mary Sue was a character used to make fun of unrealistic characters in Star Trek fan fiction. The Mary Sue type character typically is young, smart, skilled, and surrounded by men who want her (or women who want him), usually these men (or women) are powerful, intelligent, attractive, etc. themselves. When a character is called a Mary Sue it’s because the character (male or female) seems too perfect in one way or in all ways to be real. This creates a poorly developed character and causes many readers to roll their eyes and sigh in exasperation. Think of it this way: Obstacles that would be different or near impossible for all other characters would be nothing for a Mary Sue. An example: All other characters, including the villain, will be attracted/obsessed with the Mary Sue. She/he will be coveted and will be given unearned, preferential treatment and respect. Mary Sues can be difficult to empathize with. Rather they are admired or envied, or sometimes they’re just downright annoying. Perfectly ordinary (yet somehow “special”). Pale-skinned brunette, “plain” yet beautiful. Apparently lacking in any real talents or skills, yet her lover is obsessed with her (rather conveniently), and she manages to make everything about her. Builds a harem of potential love interests, despite being self-described as unremarkable in every way. Her lover, Edward, is himself a Gary Stu. *A male Mary Sue is sometimes referred to as a Gary Stu. Let’s start off with our protagonist, Celaena who’s the “greatest assassin in the world”. Okay, I’m cool with that. But it’d be nice if she could actually prove it because from what I’ve seen, she’s once hell of a crappy assassin. People walk in and out of her room all the time when she’s sleeping and she just keeps on snoring. Hello, aren’t you supposed to spring awake like a ninja and hold a knife to that person’s throat? …Calaena is the kind of idiot that licks stuff off walls, even without the hallucinatory assistance of cactus juice. But wait, there’s more! Nothing happens to her because she’s purrrfect and fabulous, like that song from High School Musical. In fact, I’m pretty sure she’s a Mary Sue. Let’s check off her traits, shall we? Tragic past, check. Pretty, check. Amazingly good at something, check. Has more than one love interest, check. Don’t even get me started on the love interests. The review goes on, but I’ll stop it there. 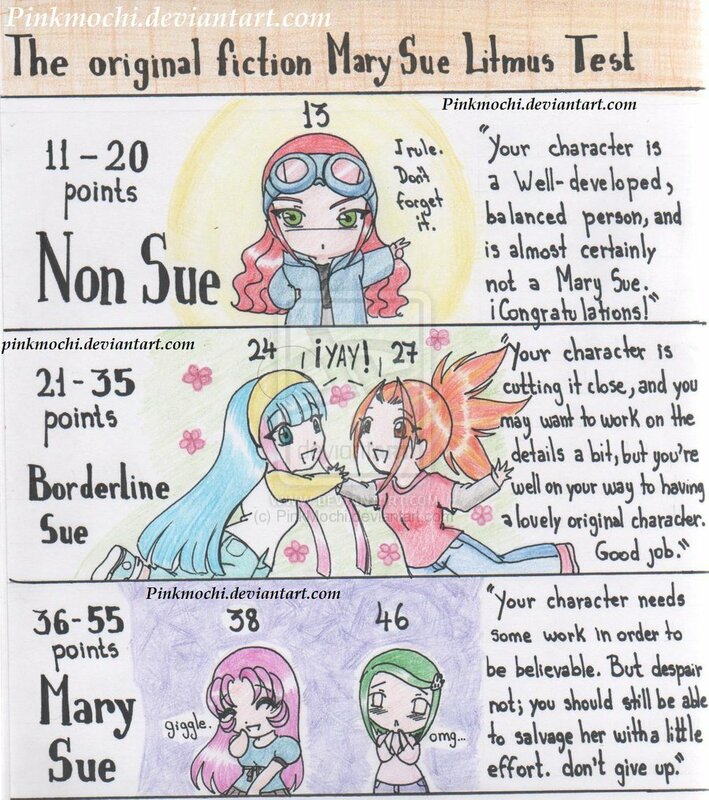 Before you go off declaring which characters are Mary Sues and which aren’t, here’s a test to see if your character is a Mary Sue. Click the link. And here’s a link to help differentiate between whether or not an established character is a Mary Sue. What characters do you think are Mary Sues? 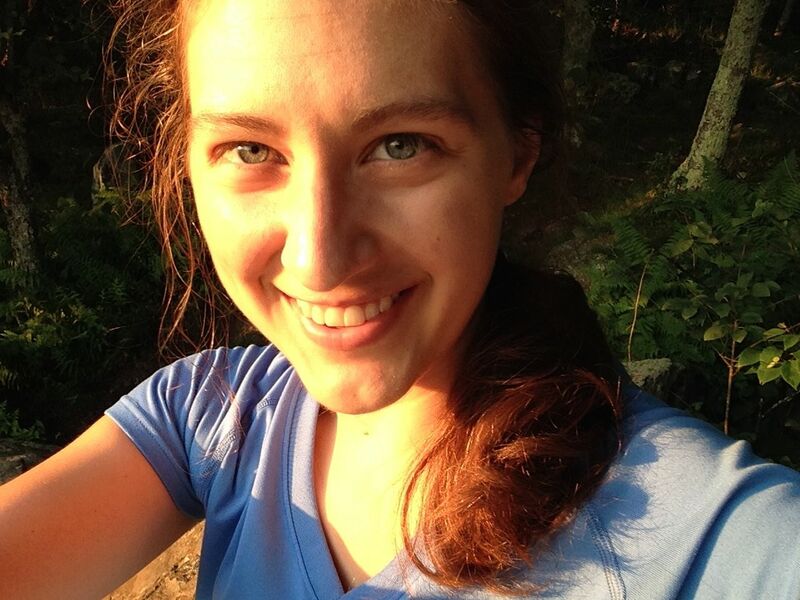 This entry was posted in Creativity, Literary World, Publishing, Writing and tagged believable characters, characterization, fanfiction, Goodreads, Mary Sue, Mary Sue character, Quora, Twilight on January 27, 2015 by brittanyekrueger.